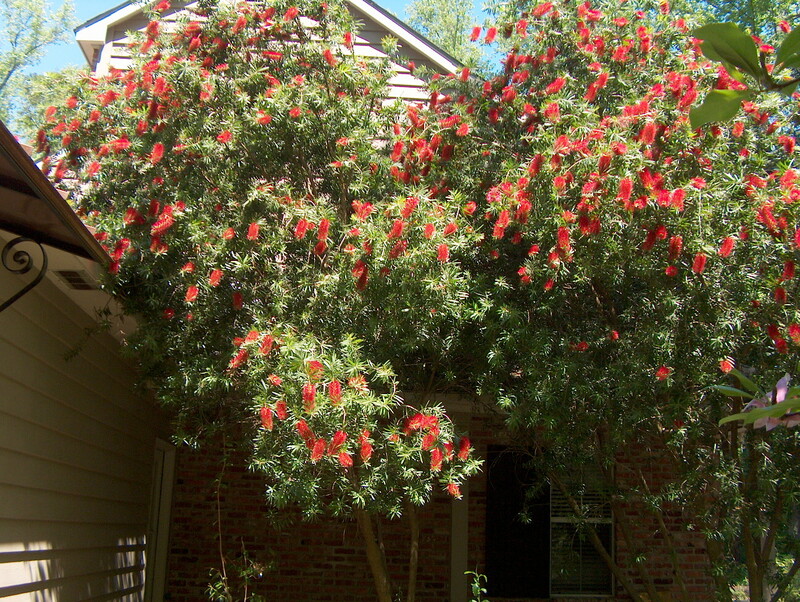 Comments: Flowers composed of showy red stamens which encircle the stem for about 4-5 inches, giving a bottlebrush effect. They have been severely damaged by cold in zone 8b, but not in the last few years. When in bloom, plant makes a showy specimen. Reported to be somewhat tolerate of salt sprays. Cannot tolerate heavy, poorly drained soil. Root rot is a common problem where soils are poorly drained.